SAN FRANCISCO – August 8, 2017 – Picniic, every family’s personal assistant designed for use by the entire family, announces the launch of Pia – the intelligent persona of Picniic. Pia is a proactive feature that helps families build a deeper connection with Picniic by learning about family needs and making insightful recommendations on how to stay on top of things. In many households, family information is rarely kept in one place, resulting in a family that isn’t always on the same page. Picniic’s family assistant bridges this gap, and the new addition of Pia provides an extra level of support helping everyone operate as one cohesive unit. Living in Picniic, Pia proactively prompts family members to keep Picniic updated throughout the day in a witty, conversational, manner. Pia learns your habits and will anticipate your needs over time. For example, Pia will search your calendar for your family’s next free weekend and offer recommendations on activities. Is your family heading to the park today? Pia will check the weather before you go, so you avoid any storms. Pia will even help you tackle the stress of back-to-school by reaching out with a checklist of important tasks that need to happen before the first day of school. If you’re on the go, talk to Pia using voice commands, and she will make updates or give you a snapshot of the day ahead. Whether you’re interacting with Pia through intuitive quick reply buttons or voice, she makes sure the experience is engaging and entertaining from start to finish by responding with fun and friendly encouragement (“You’re on fire! Keep it up!”) and funny GIFs and emojis each time you make an update. Current organization tools are typically built for individuals, overlooking how real families operate. Often, they are not built from the ground up with a family perspective in mind and lack innovative approaches to use technology to make family lives holistically easier. In contrast, Picniic and Pia were designed to provide solutions to real problems. By integrating tools families want and need, from the shared family calendar and to to-do lists, to recipe searching, into one platform, Picniic allows your family to be more connected, productive and organized. Picniic is available to download for free at www.picniic.com, the App Store and Google Play. 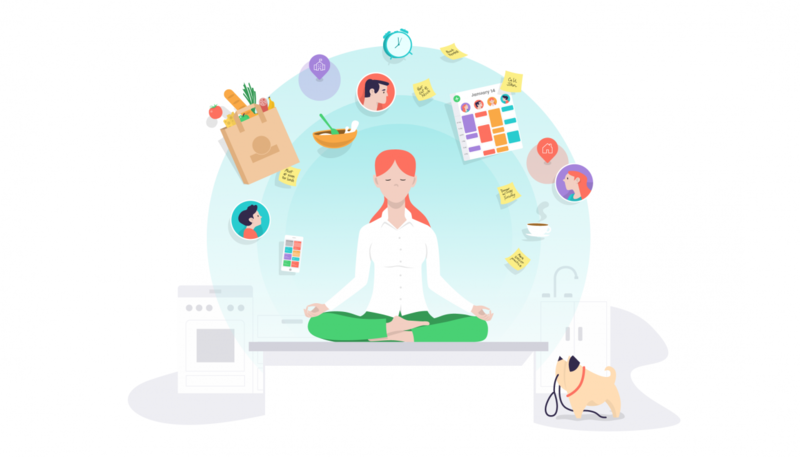 Premium features, including a meal planner, encrypted info locker, family locator, and more, are available with an annual subscription for the whole family at $49.99 or a pay-as-you-go monthly fee of $14.99. Hey Christian, thanks for your comment. It’s great to know you’re liking the app and happy with the ‘first day of the week’ change. We’re constantly working on improving features to best suit our customers. We’ve made note of the ‘search’ feature functionality and will be considering it in upcoming updates. We don’t currently have a time frame on that one just yet, but we’ll be sure to give you a shout out when we do. Please share your email address here. If you do have any more feedback we’d love to hear from you. Just write to us on feedback@picniic.com. Thanks.